KIEV, March 20. /TASS/. 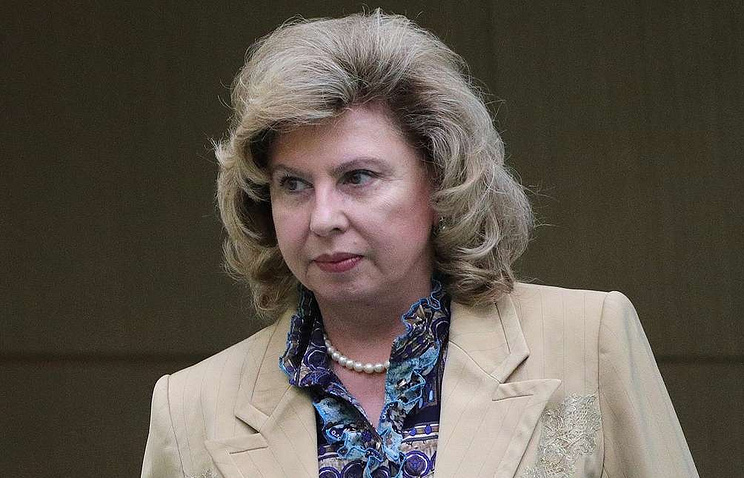 Russian Human Rights Commissioner Tatyana Moskalkova has arrived in the Ukrainian capital Kiev to attend the trial of Russian journalist Kirill Vyshinsky, the head of her secretariat told TASS on Wednesday. "We arrived in Kiev to take part in the trial. Everything is fine," Ilya Chechelnitsky said. Earlier, the official said that the agenda of Moskalkova’s visit to the Ukrainian capital envisages no other events or meetings. The Ukrainian security service detained Vyshinsky on May 15, 2018 to charge him with high treason and illegal possession of weapons. A court in Kherson on May 17 arrested him for two months. The restrictive measure has been prolonged several time since. Up to March 14 Vyshinsky had been kept in custody in Kherson, from where he was moved to Kiev. He faces a prison term of up to 15 years. The Ukrainian Prosecutor-General’s Office on January 14 said the pretrial investigation was over and allowed the defense lawyers to study the files. Vyshinsky will stand trial in Kiev. The first court session is due on March 26. On Wednesday, the Supreme Court of Ukraine will review a cassation appeal, filed by Vyshinsky’s defense team, against his detention in May 2018. Earlier, the court granted the journalist’s request to attend the session in person.